Yvette is the Executive Secretary and Project Manager for the Institute. She holds a PhD in Sociology from the Department of Sociology and Anthropology at the University of Stellenbosch, South Africa. She holds MPhil and B.A. degrees from the University of Ghana, Legon, Ghana. 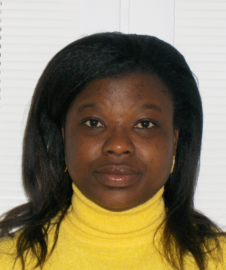 Yvette has extensive experience in conducting innovative research and in project management, design and implementation. She has worked as a researcher with various organisations, including World Vision, AYA Centre, and Institute for Democratic Governance (IDEG). Yvette’s interests are in the areas of cyber crime, information and communication technologies in criminal justice systems.